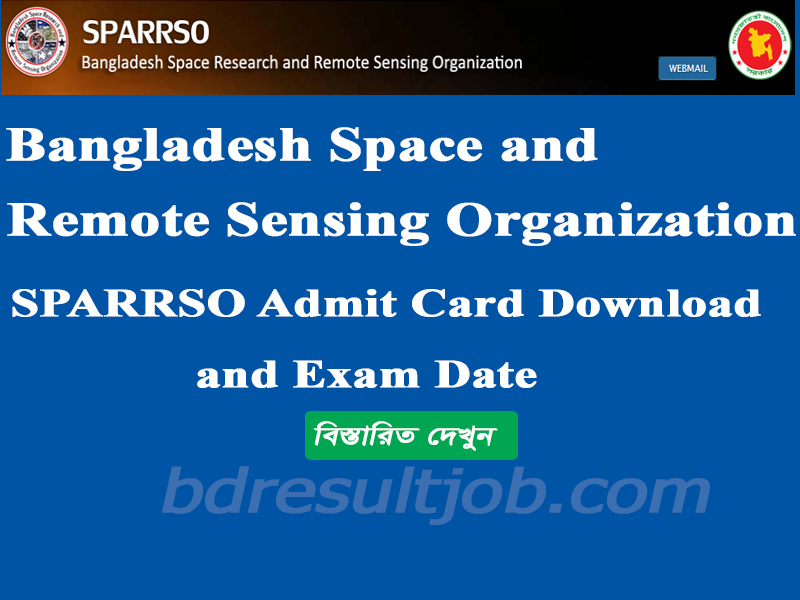 Bangladesh Space Research and Remote Sensing Organization Published Admit Card for Scientific Officer. SPARRSO for the post of Scientific Officer Applicant examination will be held on 8 September 2017, 3.00pm to 4.00 at Shre-e-Bangla Nagar Govt. Girl’s High School, Agargaon, Dhaka. SPARRSO for the post of Scientific Officer Admit card download. Tags: sparrso eletalk com bd, SPARRSO Job Circular, SPARRSO Admit Card Download, SPARRSO exam result, SPARRSO Scientific Officer Admit Card Download, SPARRSO Assitant Scientific Officer Admit Card Download, SPARRSO Store Kipper Admit Card Download, SPARRSO Accounts Assitant Admit Card Download, SPARRSO Draftman Admit Card Download, SPARRSO Technician-2 Admit Card Download, SPARRSO Driver Admit Card Download, SPARRSO Field Worker Admit Card Download, SPARRSO Office Assitant Admit Card Download.